1. What is Naturally Cancer Free? We are part of a locally and internationally networked community of practice, with passion and common interest in finding, understanding, sharing and providing what is actually working for people around the world in helping them to resolve their own challenging health situations involving cancer, based on natural and holistic principles. 2. Why was Naturally Cancer Free established? Graham felt there should be an integrated model of care available for people with cancer who had decided to participate in their own health restoration, based on the holistic traditional model using alternative approaches. People should be able to make their own well-informed free choice in terms of treatments they decide to undertake for the restoration of their own health. Naturally Cancer Free provides the relevant information, education and knowledge about various alternative treatment approaches. Such approaches may not have been scientifically tested but instead have considerable anecdotal evidence in support of their effectiveness. 3. Who is Graham Player? Graham is a health and wellness consultant, 30-year health and medical researcher, nutrition specialist advocate, TCM acupuncture practitioner, holistic health practitioner, health and medical author, cancer researcher and coach, and Hung Kuen Chinese martial arts Master. He has a Ph.D. in Health Sciences and a degree in traditional Chinese medicine. He is from a western medical family, began clinical practice in 1979 and has continued to specialize in Chinese medicine, acupuncture, and energy medicine. He has practiced traditional Chinese medicine in Australia, England and Hong Kong where he has lived since the mid 1980s. 4. What services does Naturally Cancer Free offer? Naturally Cancer Free offers an integrated support and advice network of authorized practitioners who can provide advice, support, and direction. The basis of the Naturally Cancer Free approach is similar to that of the Bill Henderson Protocol, which is common among most of the protocols in use today. The integrated support team of practitioners includes cancer coach, patient program manager, naturopaths, nutritionists, emotional counselors, biological dentists, integrative medical practitioners, patient peer group, exercise teachers, and food preparation consultants. The practitioners are all professionally qualified and have experience working with people with cancer and other seriously ill conditions who have decided to focus on actively restoring their own health using natural methods. 5. 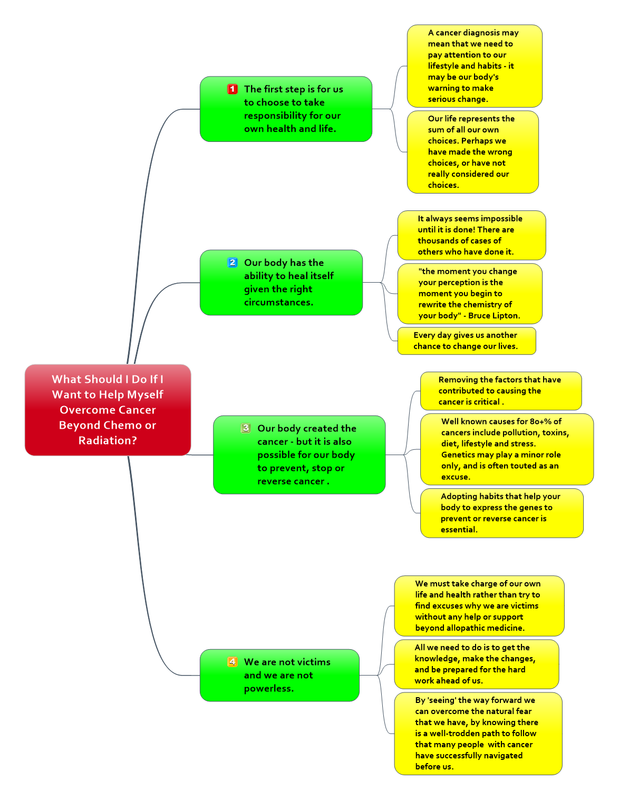 How can I find more information about cancer treatment protocols, beginning with the Bill Henderson Protocol? The program supported by Naturally Cancer Free is based on the Bill Henderson Protocol and the thousands of people who have read Bill Henderson’s book and used his protocol, and who are free of cancer as a result. Full details of the protocol can be read in Bill’s book “Cancer Free – Your Guide to Gentle, Non-Toxic healing”. Bill authorized Graham Player, the founder of Naturally Cancer Free, as a cancer coach of the Bill Henderson Protocol so that the knowledge, education, benefits and support of this protocol, which have helped thousands of people, can be directly available here in the Asia Pacific region. 6. Why was the Bill Henderson Protocol chosen as the preferred approach? There are literally hundreds of alternative approaches to cancer throughout the world, and many varying protocols. Many of these may have some degree of merit, and have worked for many people. The Bill Henderson Protocol evolved over more than 10 years, drawn from hundreds of options, with input from a wide network of doctors, dentists, nutritionists, cancer survivors and researchers. It is based on feedback from patients with cancer about what has worked for them, and it has helped thousands of people become cancer free. The protocol is easy to understand, well documented, and easily affordable for most people in the community. Several other protocols, such as the Gerson Therapy, have a similar basis in terms of their focus on nutrition and lifestyle. One of the primary advantages of the Bill Henderson Protocol is that it is all documented in his book for everyone to see. 7. Who is Bill Henderson? Bill Henderson from the USA was perhaps the most well known cancer coach in the world before he passed away in July 2016. Bill was recognized in 58 countries as an authority on the subject of cancer, and devised the Bill Henderson Protocol (BHP) – an alternative approach to the self-management and treatment of cancer, first proposed in 2004. Bill’s encouragement and motivation was a result of his late wife’s four-year unsuccessful bout with cancer. Bill found it hard to believe that millions of people each year had to endure the same torture of operations, chemotherapy treatments and intense pain as that experienced by his late wife, Marjorie. Consequently Bill searched for other options and found there were many hundreds that seemed to be working. He made it his full-time crusade to refine, focus and disseminate this knowledge into his life-saving message for cancer patients. Bill published books on cancer and produced a monthly newsletter with 34,000 readers in 88 countries. Bill’s books reached more than 100,000 cancer patients and caregivers in 94 countries, and have been translated into Spanish, Greek, Romanian, Hungarian, Czech and Dutch languages. Sadly, Bill Henderson passed away on Monday, July 4, 2016, at the age of 84. According to the physician who was treating Bill, it was a combination of heart attack, stroke, and pulmonary embolism in the wake of a blood transfusion which took his life. It was not due to cancer. 8. How do people consult with Naturally Cancer Free? Naturally Cancer Free provides a Cancer Coaching facility to people interested in knowing more about cancer and what the various alternative approaches to treatment are that thousands of people use throughout the world. For people who wish to participate in the treatment of their own condition using the Bill Henderson Protocol or other protocols, Naturally Cancer Free has an authorized local network of independent practitioners who are available for consultation as part of an overall integrated program. An additional function of the integrated program includes an appointed Patient Program Manager to help the patient in all aspects of their own healing efforts. Simply contact Naturally Cancer Free for further details. 9. Have the protocols presented by Naturally Cancer Free been tested to be safe and effective by conventional medical authorities? 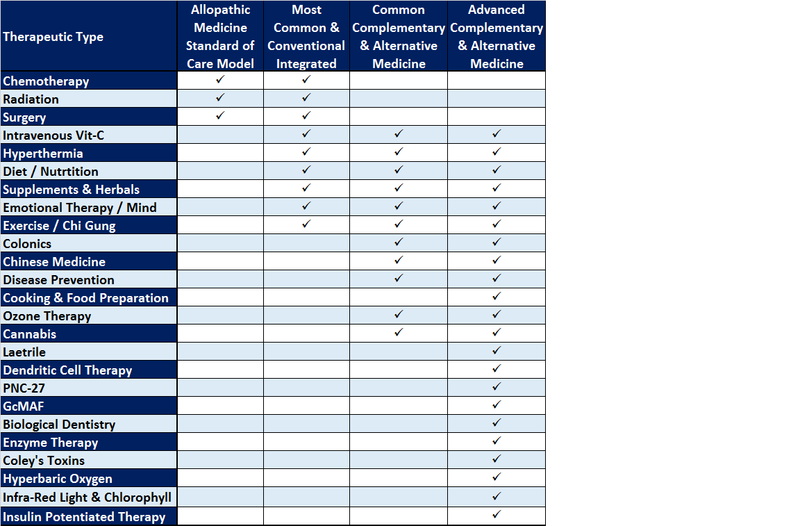 Protocols outside of the orthodox western medical model are not able to be tested by applying the approaches used by conventional medical authorities. The primary reason is the huge cost that would involve, the inability to develop a patented approach, and therefore the lack of return on such investment. So none of the protocols based on a natural holistic approach have been tested by such authorities, and it is not expected that such authorities would even go to the trouble of looking into them. The only therapy for cancer patients authorized by conventional medicine and allowable to be prescribed by medical professionals consists of chemotherapy, radiation and surgery. Complementary and alternative medicine is criticized by some as lacking evidence to support the effectiveness of its methods and medicines. Such critics typically point to mixed results from using randomized controlled trials to test complementary and alternative medicine. Randomized controlled trials, originally designed to test the potential toxicity of chemicals (pharmaceutical drugs) that had never been used widely in practice, have become the “gold standard” of orthodox medical research over the past 50 years. However, such research is costly, and much of it has been driven by pharmaceutical companies racing to find profitable (ie, patentable) drugs to add to their offerings while focusing on increasingly narrow definitions of benefits. Rarely is research done simply to determine the best or even good treatments for patients, because there is frequently no way to recoup the investment through the sales of proprietary products. Complementary and alternative medicine takes a holistic approach and offers natural products that are generally recognized as safe, and physical treatments and behavioral interventions (such as dietary changes) that are often not able to be well evaluated by narrowly defined randomized controlled trials. It is clear that complementary and alternative medicine does very well using case-controlled studies, but less well when evaluated using only randomized controlled trials. Randomized controlled trials for drugs can favor a method that provides fewer total benefits to the patient, compared to an alternative method with large, positive nonspecific effects. Recurring attacks on the evidence base of complementary and alternative medicine are often a result of personal bias and at times unreasoned (and therefore unscientific) opposition to tested therapies that offer patients choice in their methods of health care. It is important to change entrenched beliefs and to build a health care system based on relevant evidence that aims solely to promote optimal community well-being. 10. Is the Bill Henderson Protocol recommended by Naturally Cancer Free simple? Yes the basis of the Protocol is recommended. The Bill Henderson Protocol (BHP) includes particular food choices. The primary daily components are raw fruits, vegetables, gluten free whole grains, legumes and a cottage cheese/flaxseed oil mixture. Similar to other popularized and prescriptive diets, the Bill Henderson Protocol recommends restriction of some foods (such as sugar, gluten, dairy products, and animal proteins) and inclusion of supplements. The supplement list is extensive and includes products containing beta glucan, barley grass, a multivitamin and mineral, and a nutrient combination of green tea, amino acids and vitamin C.
Lifestyle choices and habits that promote wellness and strengthening of the immune system are an important part of the protocol, together with focus on stress reduction and emotional counseling. For many people the protocol may involve changes to daily habits, and particularly food choices. To help with those changes Naturally Cancer Free provides comprehensive education and understanding of what is required, assistance in sourcing products, as well as coaching on food choices, food preparation and cooking. 11. Does the Bill Henderson Protocol cure cancer? All we can do is to provide you with information learned from our investigations, and learned about the Bill Henderson Protocol, and the people who, in the face of a cancer diagnosis, have chosen to take responsibility for their own health and have applied the principles of the protocol and other protocols to heal themselves from every kind and stage of cancer. One of the key components of all of the natural treatments is to protect and enhance your own immune system, such that your own immune system is at an optimum condition to help your body heal. Whatever treatment you decide to follow, whether it is the conventional medical treatment or any alternative or complementary method, nobody can say to you that it will cure your cancer. 12. Can the protocol be used in conjunction with conventional medical therapies of chemotherapy and radiation? Yes many people have decided to take that approach. While Bill Henderson’s Protocol and other natural protocols advise people to try it before committing to other therapies, many people do begin orthodox medical therapies as their first resort. This is understandable in our contemporary society. However there are others who have chosen to learn more about the subject before commencing any therapy and decided to use a natural holistic approach. The anecdotal experience has shown that many of those who use natural protocols as a first resort do seem to reverse their own cancer in just a few months rather than a much more extended time period if the protocol is used only as a last resort after orthodox medical therapies. 13. What should I do next if I want to help myself overcome cancer beyond chemo or radiation? 14. What types of therapies are available and are people using throughout the world, beyond the typical contemporary allopathic medical model, to help their own body overcome cancer?